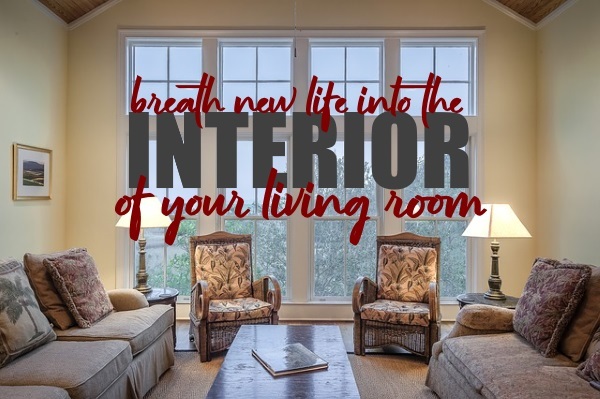 You might love your home and be entirely comfortable with your surroundings but every now again it just needs a bit of a minor or major facelift to breathe new life into your surroundings. There are lots of different ways to achieve that aim and once your work is done you can sit back and appreciate the difference that your efforts have made to the way you enjoy your home. Here some suggestions to consider if you are thinking about changing things around and want some inspiration on how to do that. You might not want to go through the whole redecorating process at this moment in time but there is an easy and effective way to change your surroundings without the need to open a paint pot. One suggestion would be to visit Posterjack.ca and get some inspiration with the acrylic prints on display. It is easy to create a theme in your room with a print on the wall and whatever subject or color scheme you are thinking about there is bound to be a print to match that theme. Fitting a new picture on the wall is a breeze for someone with even modest DIY skills and it really can transform the look and feel of your room with minimal effort. A much bigger project to consider is one that could really have a big impact on a part of your house in a number of different ways. Installing a skylight is a project that is often best left to a professional, but it is not that expensive to get one fitted and there is every chance that it will add some value to your home as well as letting more natural light into your property. The other attraction of installing a skylight is the fact that you could be saving on energy costs if you have more natural light, plus it makes you happy to be able to enjoy the view of the sky when you look up from inside your room. Another suggestion that is good for your wellbeing and looks attractive too, is to introduce more indoor plants into your environment. There are so many options with indoor plants and you can enjoy a riot of color or lots of leafy greenery that is good for oxygenating your living space as well as enhancing your decor. Your flooring plays a big part in how your room looks and feels and even if you don’t have the budget or inclination to completely change the flooring altogether there are still some ways to change things around. If you have wooden flooring, for example, adding a colorful new rug can give your room an instant facelift. Another idea to consider would be to get some removable carpet tiles. They are easy to fit and remove and because they are not very expensive, you can enjoy making some fun patterns and splashes of color, without breaking the bank. You can also easily change the tiles around when you want a change again. A decent halfway house solution to repainting a whole room is to add an accent wall instead. Creating one wall that stands out from the crowd with rich and vibrant color is a design trick that is understandably popular because it works. A good candidate for this idea would be a room where you currently have a fairly neutral them with the color scheme. Changing one of those walls to a bold color of your choice will have an instant impact and will add a real touch of style with this accent wall. It doesn’t have to be painted either, as you can have an equally dramatic impact when you choose a classy wallpaper covering for your accent. It is easy to become familiar with your surroundings and not realize how much clutter there is all around you. There is a real trend going on for neatness and it can make you feel good when you simplify things and work on putting what you don’t need neatly away or getting rid of it altogether. The act of decluttering can free your mind and improve your surroundings, so think about how you can create more of a feeling of space and give yourself less to tidy and clean. You don’t have to spend big to change your surroundings and a number of subtle changes can all add up to a new look and feel that you could be very happy with. Some suggestions to consider would be to treat yourself to a new set of sheets, or maybe some different cushions. Upgrading your crockery set or swapping some of your photo frames are just some of the little changes that are noticeable enough to you to make a difference to how you enjoy your surroundings. If you have a widescreen TV and like listening to music a good project to consider would be to create a media center that incorporates all your gadgets and devices in a neat storage system. Work out how much space you have to work with and don’t forget to account for all your DVD’s and other items that you will want to store away so that everything looks clean and tidy. Having a purpose-built entertainment center will make family movie nights a pleasure and it will raise the profile of your living room at the same time. These are just a few ideas to give you some inspiration and start planning the ways that you are going to set about reshaping and transforming your living space. These plans to give your home a lift don’t have to cost a lot but they will feel like time and money well spent when they help to change the look and feel of your living space.